Guide Aladdin past all the obstacles within the time limit to pass the stage. To get a higher score, finish the stages as quickly as possible. Click and hold left mouse button and draw Aladdin's route. If you're stuck, click on erase to draw a new route. Use arrows to control Aladdin's movements. Watch the timer on the left, if time runs out the game is over. 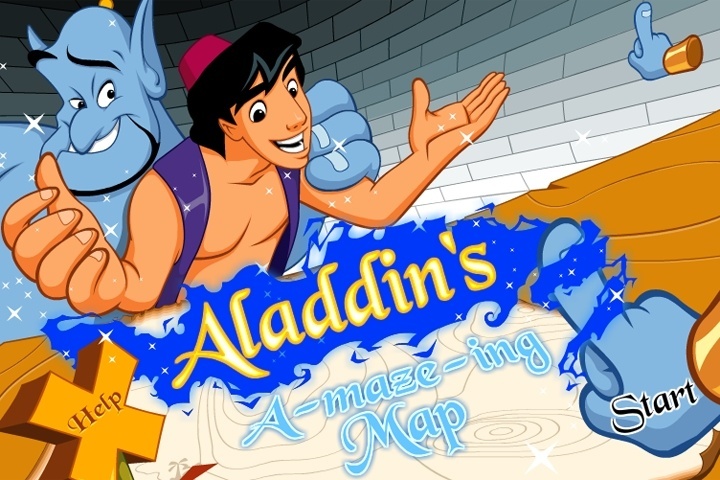 If you want to play Aladdin's Amazing Map games online you have come to the right place! GamesLoon adds new Aladdin's Amazing Map games every week. This is your game portal where you can find the biggest collection of free Aladdin's Amazing Map games online. Do not forget to rate our Aladdin's Amazing Map free online games while playing!